Available for Hire at Birthday Events, Private Residences, Sporting Clubs, Bars, Pubs and Nightclubs. Superband can tailor a package for any of the above mentioned Events. Whether it be a Giant Birthday Party in a Backyard Marquee, Sporting Club Hall or your Local Pub. Whether you’re turning 18 or 80, Superband has something to offer. As a world-class entertainment provider with gigs at Crown Casino in Melbourne and across the country here in Australia we’ve got a myriad of hits that both Dad & the grandson will recognise – no joke! We can tailor a set list for your birthday or function that’ll ensure the entertainment adds to, but doesn’t steal the show! 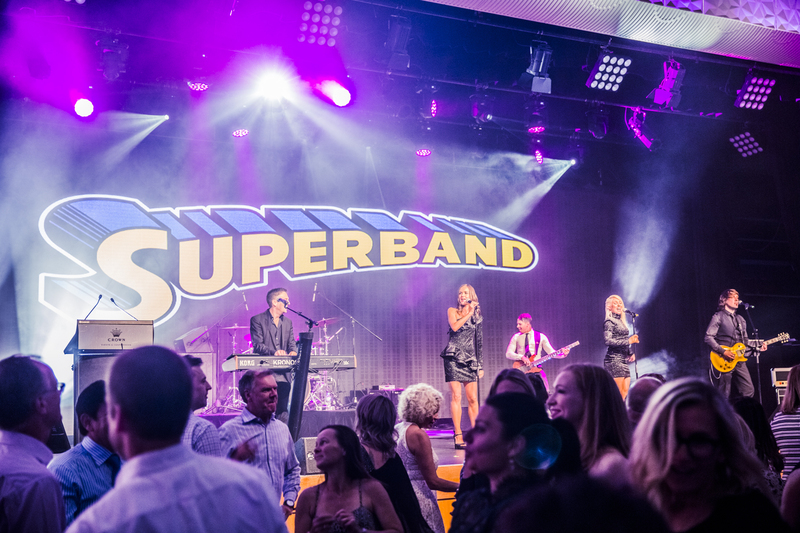 Superband are a group of best friends, who have a passion for music that exceeds that of your local ‘band’…. It’s so much more to us and always has been and will be. We’ve supported and worked with a wide range of artists and are looking to be led – what are you looking to get out of your birthday band? What artists do you like? We’ll work with you to build a set that’ll knock the socks off your party and keep the conversation going – on your feet of course – till the wee hours of the night!